Using a webcam connected to the Omega, we can take photos over time and string them together to make a video of your scene! 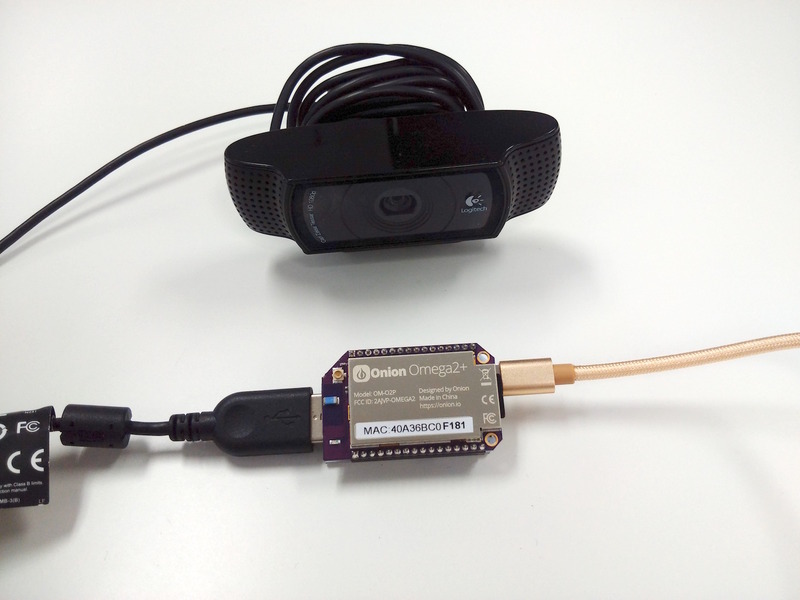 In this project, we’ll use the fswebcam utility and cron to capture images from the webcam at timed intervals, then we’ll convert it all to a video using ffmpeg. To keep the amount of typing to a minimum, we will create shell scripts to do the work for us! Follow these instructions create sweet time-lapse videos with a webcam on your Omega2+! 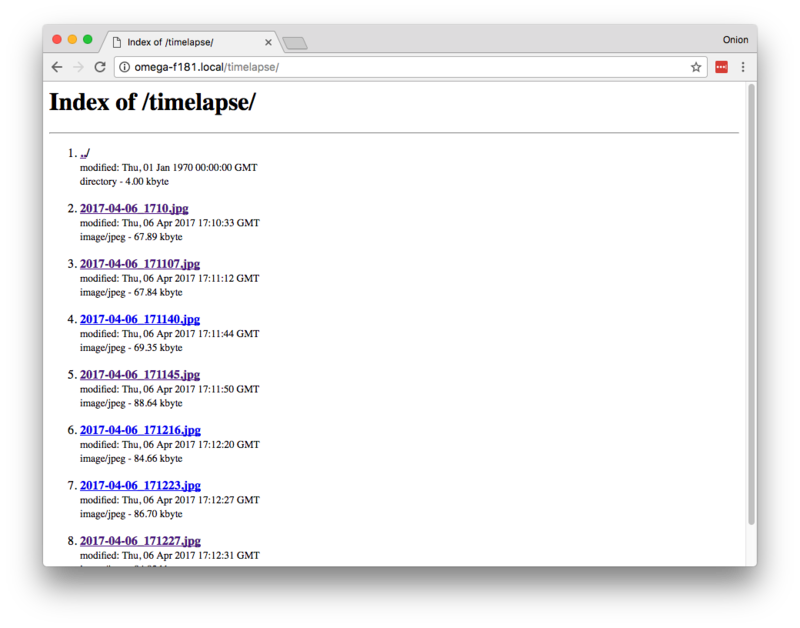 All of the code can be found in Onion’s timelapse-camera repo on GitHub. You’ll have to have an Omega2+ ready to go, complete the First Time Setup Guide to connect your Omega to WiFi and update to the latest firmware. 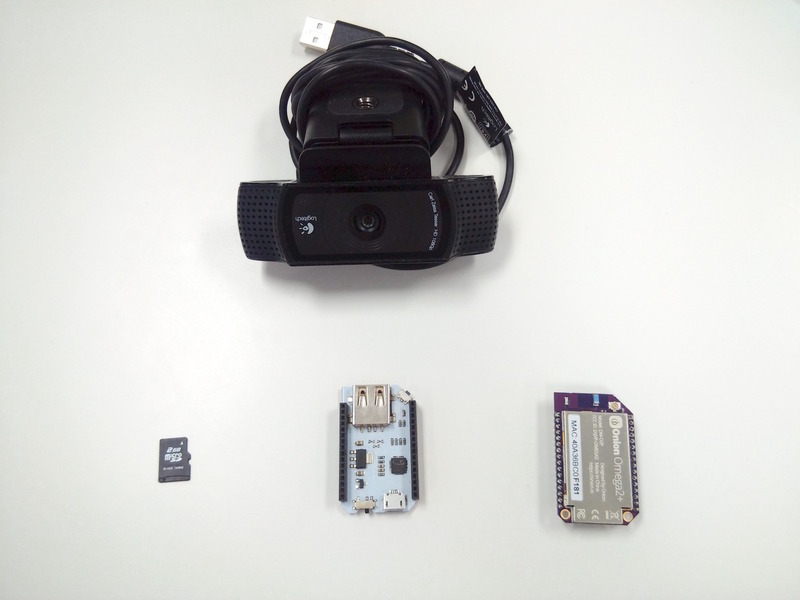 Insert the MicroSD card, plug in the USB webcam, connect the Omega to power, and we’re ready to start. The pictures taken with the webcam would fill up the Omega’s built-instorage quite quickly. To make sure we have enough space for our pictures, we’ll need a MicroSD card to store it all. Connect to the Omega’s Command line and use df -h to check the storage on the Omega - and make sure we’re using the correct device. To get the webcam to take pictures, we’ll need the software. The package we use here isn’t included in the Onion package repo so we’ll have to use the LEDE package repo to get it. A complete guide on how to do so can be found in our guide on Using Opkg. If you’re wondering how we have date +"%Y-%m-%d_%H%M%S"/ as the output name of the file but it ends up being the date and time, it’s through the wonders of command substitution! The command inside the backticks, `, will be executed and replaced with the output of the command, and then the rest of the fswebcam command will be executed. 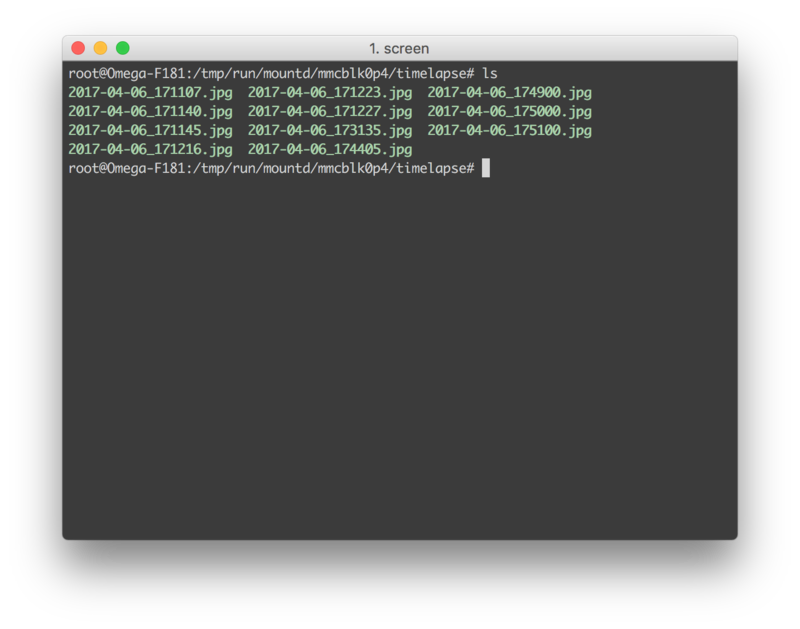 Try running date +"%Y-%m-%d_%H%M%S" on the command line, you’ll see that it outputs the time and date in the same format as the images get named. To save us from typing that out every time, we’ll write a short script. This opens an editor (by default, vim) to edit the file. Now wait a bit, if new files are created each minute, then we’re good to move on! Once cron starts working and we have some images from the webcam, we’ll want to create our very first timelapse video. To do that we’ll be using the FFmpeg program. Next, we’ll use a script to rename the photos and create the video. Renaming first makes sending the files to FFmpeg a lot easier. Copy the code below and save it to /root/makevideo.sh. Voila! A time-lapsed video of the photos your webcam was taking! Link the images to the web directory of the Omega, and uhttpd will automatically serve them up. To get to our images, go to http://omega-abcd/timelapse in your browser. Remeber to replace omega-abcd with your Omega’s unique name!